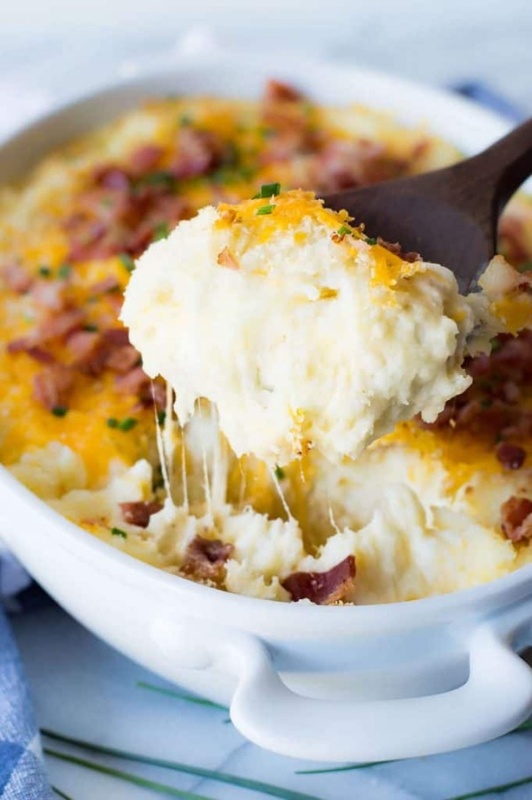 Mashed Potato Casserole - The creamiest, cheesiest mashed potatoes EVER! This easy to make side dish is loaded up with extra melty cheese, crispy bacon, and chives. The best part? You can make this dish ahead of time and then just pop it in the oven to heat back up! This dish will end up being the highlight of any meal!